Murmur Of Slioch Loch Maree, Torridon, Scotland. 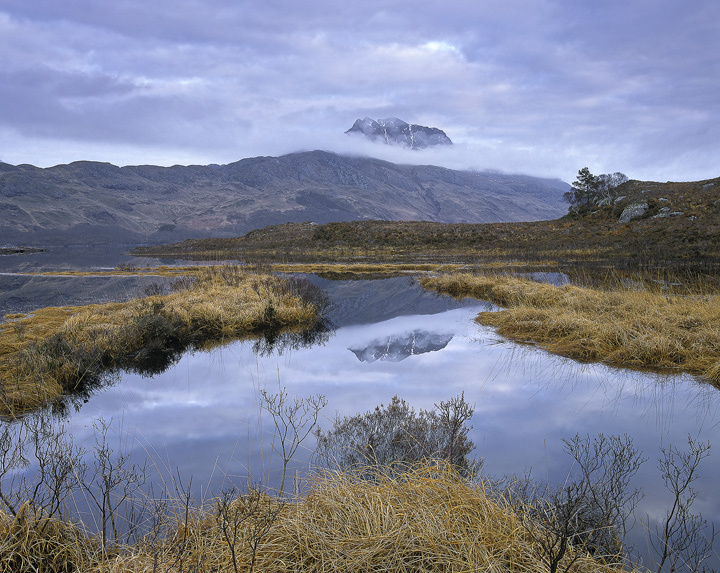 Slioch appears like a careless afterthought from behind a thin veil of cloud and reflects quietly in a mirrored pool nestled between dead grasses, not a mumur of wind disturbs the chill of winter evening. Contemplative perfection.